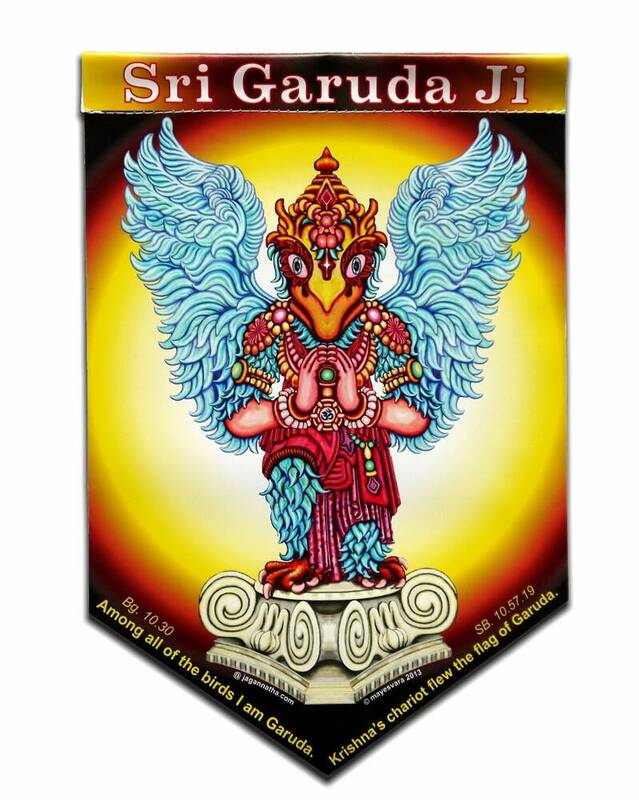 Beautiful Art Flag with the name and picture of Sri Garuda Ji. Can be put in your temple, home or garden to decorate the space and remind people of Sri Garuda, the Carrier of Vishnu. The flag is approximately 10" wide X 15" tall and has an explanation about Garuda on the back. A 1.25" loop near the top allows for hanging on a horizontal flag pole or rope. Made from heavy vinyl suitable for the outdoors!